Ordered some lettuce seed today, wasn’t cheap either, I’m going to give these pelleted seeds a try. 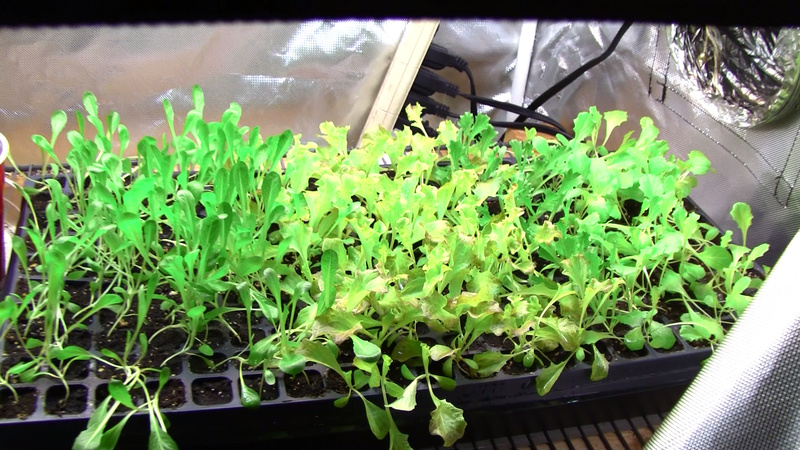 I’ve been looking into some small scale commercial type lettuce growing… With a little over $2k worth of stuff one could grow and harvest lots of lettuce. These guys aren’t growing lettuce but they’ve got the corn salad going on. 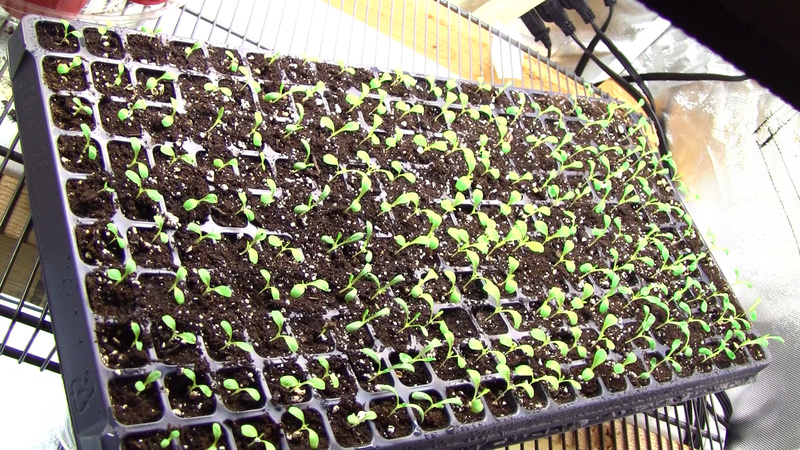 I got some 200 cell trays and just started one, probably a little too early but starting them inside and probably putting them in the ground around the beginning of August. I might start another tray about a month from now. I just spent 20 minutes sorting through some spinish leaves to remove rotted leaves. It came in one of those plastic boxes and everything. Grow your own. That’s what I think. 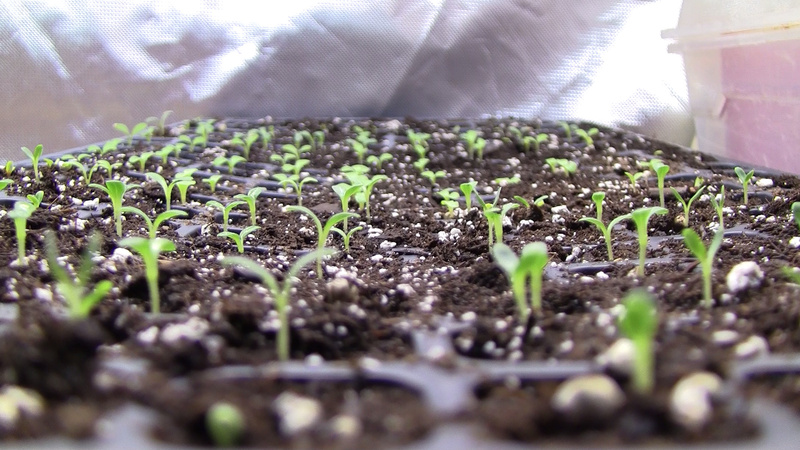 Lettuce sprouts, fast and great germination on these seeds, the sides where they haven’t germinated yet is because the sides tend to dry out more. Thanks, it took a little time to do a 200 cell tray and I compressed the soil mix in there pretty good so they should be solid plugs. From what I’ve read but haven’t looked into further is that these pelleted seeds they start to germinate them, then stop the germination somehow… they seemed to sprout really fast. I just remembered that I have a large starter tray that I am not using. It has pods made of netting and starter material. I will get some seeds and give it a try! They look awesome! My tray has 72 cells. The pods look fascinating and all( they are compressed and they expand when watered) but I think the cell trays like you have may be as good or better. I was looking at some seeds yesterday and most of them recommended waiting until the 1st of Augest for planting. I think that I will start mine on July 15th. I started mine a little early, gonna try to get them through the heat, probably leave them under lights for a month or more before I transplant them. And I’m going to start a second tray around the end of the month. One problem I’m having with them is these cell trays I bought are shorter than the nursery trays I have and they don’t get down into the water, so I’m going to have to top water them or order some new trays… which I’ll probably end up doing. I’m sure the peat pod things would work fine for lettuce, I don’t like them for tomatoes and stuff though! 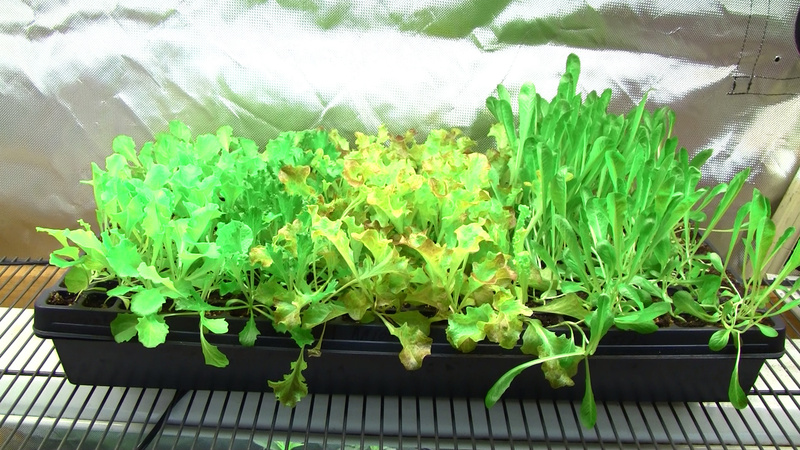 @LittleRambo1 check out my tray, another week and it will be about ready to harvest for baby lettuce…I’ve been giving them a very weak nutrient solution of about 80-100ppms. I’d like to set up a system where I grow 12 or more trays through the winter for personal consumption and just harvest it as baby lettuce.